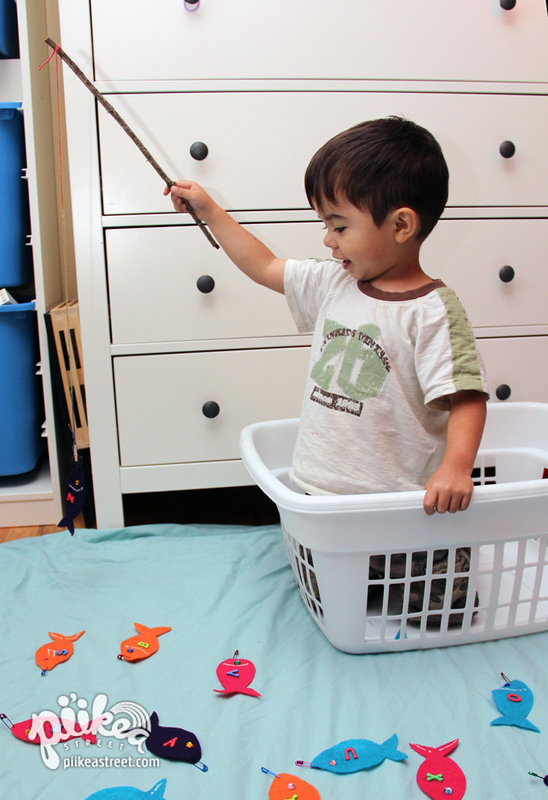 ABC Fish | Pi'ikea St.
It’s pretty adorable when you find your kids sitting in the laundry basket pretending they’re fishing. 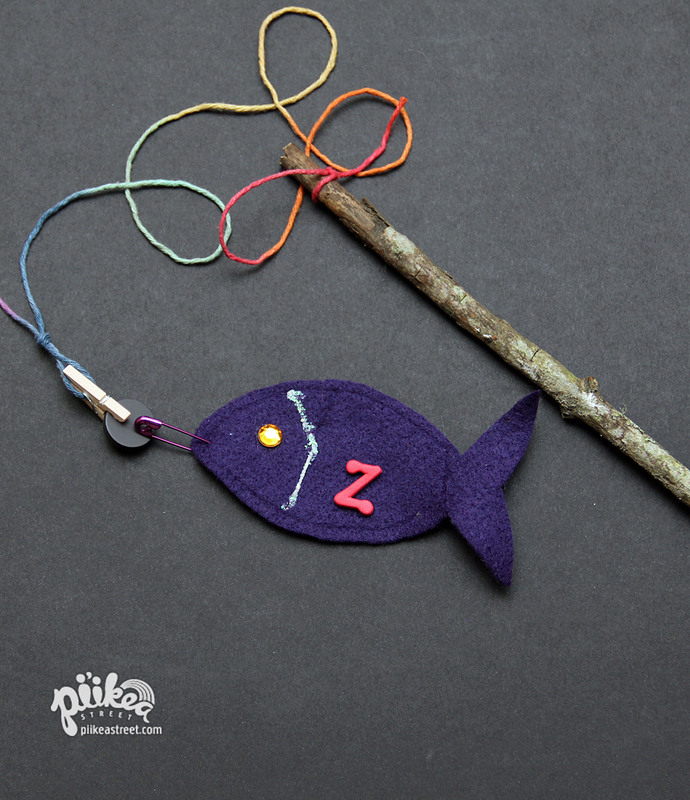 With our next craft, let’s help them row their boat into a stream of alphabet fish. Cut the felt into fish shapes. Decorate with jewels and glitter glue. Stick a letter onto each fish. Allow glue to dry. Pin a safety pin near each fish’s mouth. Tie a piece of string around one end of the stick. Thread the other end through the metal spring and tie a knot. Clip on a magnet and you’re ready to fish! Here are just a couple of game ideas for these fish. For younger kids, have them recite the letter after each catch. Make a few more vowels to turn it into a spelling game for older kids. We’d love to hear what games you come up with. Let us know by leaving a comment. And remember, another great way to help your little ones pick up the ABCs is through our app, Interactive Alphabet. You can download it at the App Store!